ACCOUNT LOGIN GET A QUOTE! As an owner of a lawn care company I think I must get asked at least 1000 times a month, "All lawn care companies are the same, they throw down some fertilizer, and spay your weeds, right?" Well the answer to that is an emphatic "NO!" Not all lawn care companies are created equal. Unfortunately it is very easy to throw a fertilizer spreader in the back of your vehicle and offer "lawn care services." This is why I have put the most important things a homeowner must look for when hiring a lawn care company. I believe that these tips and advice will help keep YOU & YOUR FAMILY SAFE, and allow you to stay within your budget. This guide is a must before you hire any lawn care company, and I'd like to offer it to everyone of you to read. Not only should you hold my company to these standards, but anyone else that you are serious about hiring to care for your lawn. 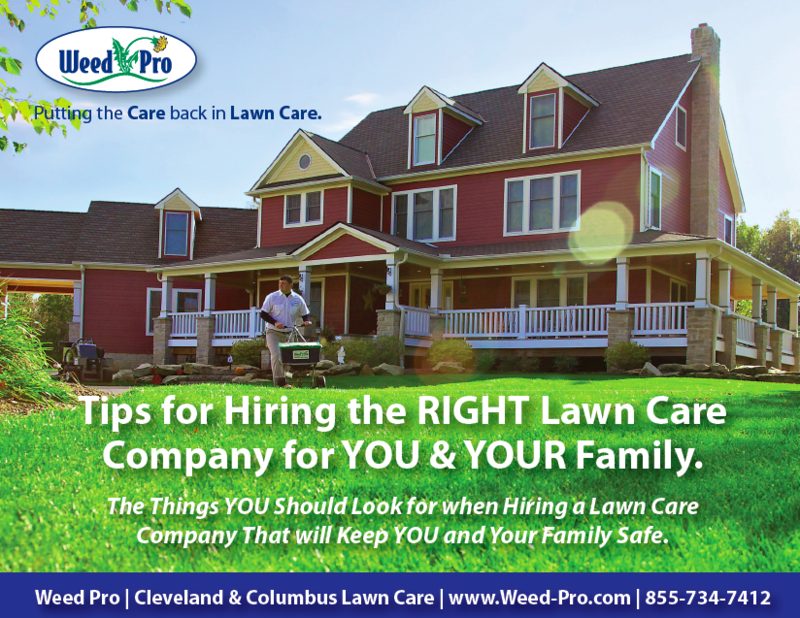 As the owner and president of Weed Pro, Rob Palmer is committed to helping Ohio properties look and feel their best. With years of experience in the field and a passion for helping property owners, he offers useful lawn care insight and advice on the Weed Pro blog. How should you compare lawn care companies? We'll walk you through step-by-step of what you need to look for when hiring a lawn care company. Looking for a price estimate on your lawn? Fill out the form below to receive a free quote. ©2019 WeedPro. All rights reserved.